Went for a brisk walk around Goult the other day and decided – spur of the moment stuff – to walk down the hill to the Gare de Bonnieux for their excellent 3-courses-and-a-quarter-of-a-litre-of-wine-for-€15 lunch. Ms jb thought she’d like to walk the 4.5k along the walk/cycle way built over the disused railway line to the 2000 year old Pont Julien. About an hour, she figured. 3km back up the 10% hill to pick up the car (30 minutes, not bad), 5 minutes at the Cafe de la Poste’s le weefee ‘otspot and 5 minutes down the hill to le Pont and she’s standing triumphantly on the arch. “I’m not sure which side of the ruler they were using” she said “but I think they’ve got it wrong. Took me just under 40 minutes. The sign back here says 3km. 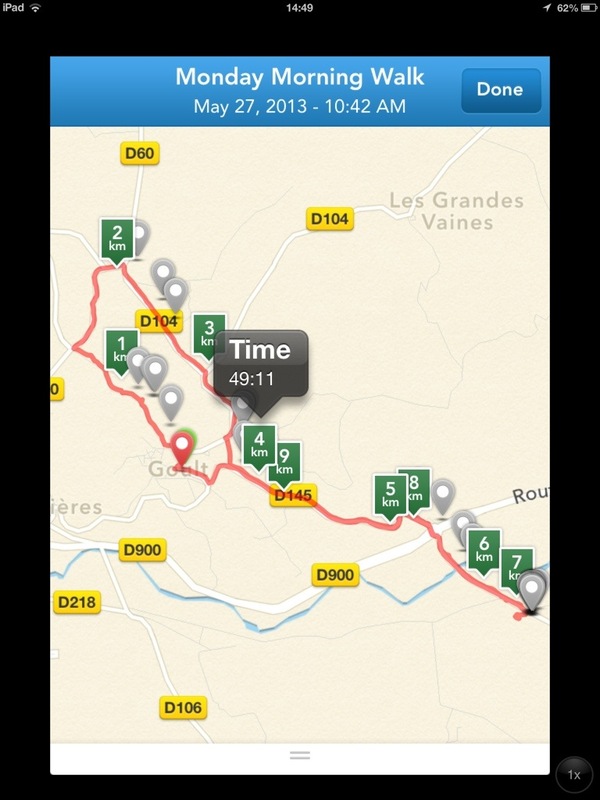 And there’s a sign over THERE saying “Gare de Bonnieux – 8km”. Which is pretty good going. We’ve entered her for the walking event at the next Olympics. With handicapping for age, she should come in a day ahead of the rest of the field. The local bookmaker has her as an odds-on favourite, anyway and they should know…..